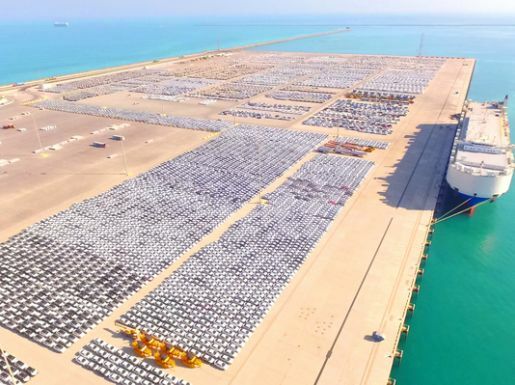 Abu Dhabi Ports, the master developer, operator and manager of the ports and Khalifa Industrial Zone in the Emirate, has seen a successful first half of 2016 with new remarkable results announced today. This comes in parallel with the prosperous economic growth witnessed in the emirate of Abu Dhabi, reaffirming its prestigious commercial status across the region. The company has experienced continuous growth as the UAE’s maritime trade hub with major growth across general and bulk cargo, container volumes and Roll-on/Roll-off (RoRo) traffic. Since Jan 2016, Abu Dhabi Ports has witnessed an impressive 77% jump in net profit and 20% revenue growth while the EBITDA margin exceeded 40%, reflecting a 15% increase compared to H1 2015 figures. At the Khalifa Port Container Terminal (KPCT), which is operated by Abu Dhabi Terminals, container volumes increased by 11% in the first half of the year. Bolstered by rapid growth in polymer exports and transhipment activity across the Gulf, 699,776 TEUs were handled in the first six months of 2016, up from 629,941 TEUs in the same period of 2015. 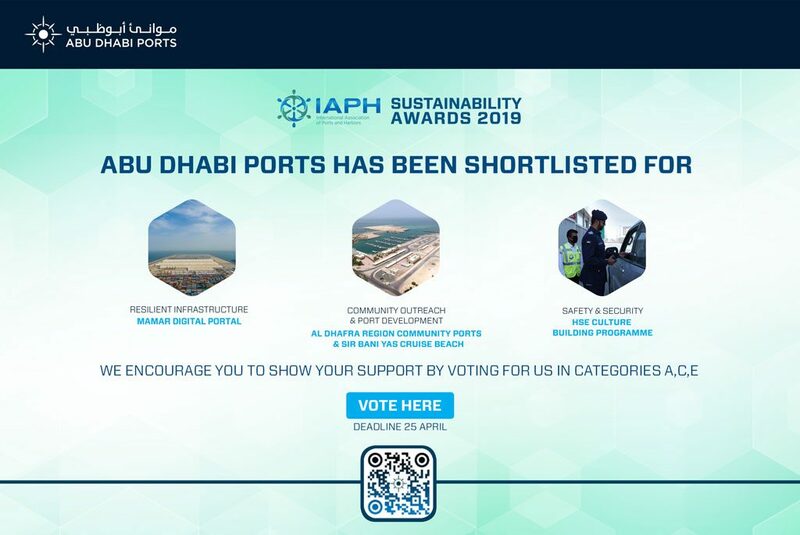 Building on the infrastructure of Abu Dhabi to keep abreast with its economic growth, Abu Dhabi Ports successfully completed the implementation of the Terminal Operating System (TOS) in Zayed and Musaffah Ports. TOS is a database providing bookings, detailed tracking for containers and Gate Transaction tracking. Increasing the attractiveness of the ports to both sea- and land-based users, TOS acts as an integrated business platform with physical and technological infrastructure and processes. The RoRo offering saw new levels of productivity with a record average of 206 cars handled per hour in April 2016 alone, an important boost for the automotive industry in the UAE and the region, demonstrating the growth of Abu Dhabi as a logistics hub for this industry. During the first half of 2016, Abu Dhabi Ports enjoyed an increase in RoRo volumes of 4% compared with the same period in 2015, with 58,000 vehicles passing through the ports so far in 2016. The amount of new land leased in Khalifa Industrial Zone is over 1.5 million square metres, 50% up on this time last year. Industries in Khalifa Industrial Zone continued to expand with 82 Standard Musataha Agreements (SMAs), at an investment amount of over AED 40 billion to date. The area has now leased 14.5 million square meters of land, 1.9 million square meters of which is leased in the trade and logistics zone. There has also been a 17% year-on-year increase in the number of investors from 2011, with a value exceeding AED 22 billion. 10 facilities in logistics, warehousing, food, printing and packaging, aluminium, workshops, repairs and mixed use are already operational, while 13 more will be operational by December 31, 2016. Since the beginning of 2016, the container business has seen the addition of new liner calls, providing added regional connections, primarily the Indian subcontinent, to support the transshipment business for the KPCT. Moreover, Admiral Group started their feeder services in the Gulf area along with TDS, furthering the momentum. Despite a bleak outlook for world trade, the Jan-Jun 2016 volumes grew by 11% over the same period in 2015. Bay Lines has also started serving KPCT area, positioning Abu Dhabi as a key enabling link to Indian subcontinental trade, and a major contributor to world trade. Over the past six months, Abu Dhabi Ports has also successfully completed the first cruise season from the new state-of-the-art Cruise Terminal and signed multiple retail agreements with various goods and services providers to achieve a 100% retail occupancy. The 184,815 passengers represent an increase of 49% on this time last year, resulting in a 16% year-on-year growth from the 2015 season. Such diversified projects further enhance the economic pillars of Abu Dhabi, as part of a holistic, well-integrated paradigm, with world-class infrastructure on a par with the best in the world.